The Aesthetica Art Prize invites submissions from artists at all stages in the career, working in any medium and celebrates innovation and excellence in technical skill. Entries are open until 31 August 2014. Selected works for the latest edition of the Prize, spanning film, photography, sculpture and painting are presented here as demonstrations of the breadth and quality of works being produced today; and we highlight the longlisted artists’ achievements since the award. These include Henry Iddon, Ana Catarina Pereira, Wycliffe Stutchbury and Wilson-Eflerová (Kye Wilson and Helena Eflerová). Henry Iddon graduated from De Montfort University in 1999 with an MA in Photography. 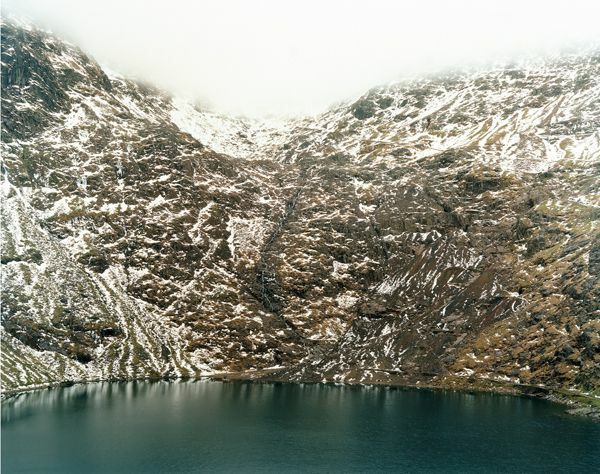 In his practice he is looking to find new ways to explore and investigate the mountain and wilderness environment. Work is always based on research, and a rational, that he hopes would stand up to rigorous debate within related academic circles. Since featuring in the Aesthetica Art Prize 100 Contemporary Artists longlist, Iddon has been in discussion with a gallery in Nepal, Asia and opened discussions with a national collection regarding the acquisition of his work. An image from the A Place to Go series has also been selected, from 7000 submissions, to be one of 100 images shown as part of the 2014 Royal Photographic Societies International Exhibition. Born in Lisbon (1972), Ana Catarina Pereira lives and works in London. Pereira completed her Masters of Fine Art at Chelsea College of Arts (2012), and was awarded with Clifford Chance/UAL Sculpture Prize 2013, which included a solo exhibition. Longlisted for the Aesthetica Art Prize 2014 with her piece A Room of One’s Own III (2013), her work was showcased in a group exhibition at Degree Art Gallery last June. Pereira has been awarded a Royal British Society of Sculptors (RBS) Bursary Award 2014 which includes a group show opening in September, and will participate at Mdina Biennal 2015. Wycliffe Stutchbury has meshed his previous careers as a cabinet maker and a modelmaker in his practice, which uses discarded, found or forgotten timber as it medium. 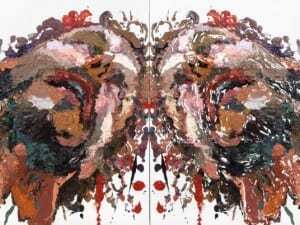 He has exhibited widely in London and the United States and his work is held in several significant private collections. Sheffield Park, selected for the Aesthetica Art Prize, is a study in texture, colour and process. The structure, its scaffolding, is led by the nature of the material, in this case, oak from a tree that was felled in 1776 to form a cascade at Sheffield Park. When cut open, it is black with deep fissures and it smells of peat and burnt rubber. Stutchbury’s approach to working is intuitive, rather like stacking firewood, and centres around plans and outcomes. The finished piece is an example of human error and methodology. Intermedia artists Wilson-Eflerová (Kye Wilson and Helena Eflerová) create inter-disciplinary artworks that explore themes of embodiment and the human condition; they have been collaborating since 2008 and have exhibited nationally and internationally. Recent successes include the world premiere of Faces, a monumental film installation featuring the people of Portsmouth reading true stories from World War I. Embodied Vistas, our re-interpretation of Deptford Creek has just been exhibited at APT Gallery, a new single-screen version will be shown at GalleryMuse, Petersfield. Wilson-Eflerová is also currently re-exhibiting Anima/Animus at Osek Abbey, Czech Republic with a live performance. 1. Henry Iddon, Snowdon / Yr Wyddfa and Pant y Lluwchfa. 11th February 2012. Aesthetica Art Prize 2014: Photographic & Digital Longlist. Courtesy of the artist. 2.Ana Catarina Pereira, A Room of One’s Own III (2013). Aesthetica Art Prize 2014: Three Dimensional Design & Sculpture Longlist. Courtesy of the artist. 3. Wycliffe Stutchbury, Sheffield Park. Aesthetica Art Prize 2014: Three Dimensional Design & Sculpture Longlist. Courtesy of the artist. 4. Wilson-Eflerová (Kye Wilson and Helena Eflerová), Entrapment of the o/Other. Aesthetica Art Prize 2014: Video, Installation & Performance Longlist. Courtesy of the artist. A new exhibition traces the latest developments in the world of fashion, its international influences and its increasingly comfortable relationship with the institutions of fine art. 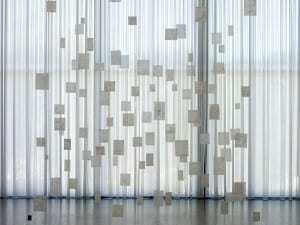 Tate will stage an international comprehensive survey of the work of Mira Schendel. As one of Latin America’s most prolific post-war artists, she has made an influential contribution to the art world.